Business intelligence (BI) is always about consolidating data and deriving insights from it. You pull data from various sources, process them and you get intelligence, whether in the form of a trend, pattern or knowledge discovery. Advances in BI technologies like data warehousing, ad hoc reporting and data discovery make insight generation fast and accessible for almost any user type. Where before BI is the territory of I.T. and affordable only to large enterprises, today, small businesses have plenty of scalable and price-tiered cloud BI solutions to choose from like Sisense. They can apply BI across business processes, from measuring and predicting sales to fine tuning daily operational efficiency like inventory control. Until recently, much of the insights happen by pulling data. While it’s now fast and easy to organize disconnected data into a usable set, thanks to technologies like memory-optimized columnar and high-performance analytics database used by Sisense, the dynamics remain the same. A user sits down in front of a computer, logs into the system and clicks his way to generate insights. Last second quarter though, something Sisense has introduced may be a game changer or at least will shift our perception of BI. The BI software developed a new way to generate insights by pushing it to you. The vendor launched last April a new tool called Pulse, a machine learning-based add-on that detects spikes in the normal patterns for a given KPI, for example, inventory levels or lead volume. Pulse monitors the KPI and learns the normal curve of its behavior; the tool alerts you any time results move out of this range. But it’s more than smart notification, it learns from experience how far away from normal you’re willing to accommodate, so it sends alerts only in urgency. You can read more on how Sisense drives small business BI in a separate article. Pulse just made fast BI processing even faster. Even as you’re busy in your daily operation or attending to sales activities, you’re never away from running analytics. It’s constantly humming at the backend. This means you’re always ready to arrest an anomaly or regroup to prevent a blip from exploding into a full-blown problem. 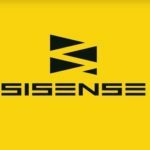 “This is a direct continuation of what we’ve been doing… Sisense [is] everywhere where we can push insights into the hands of users,” said Sisense CEO Amir Orad in an interview with TechCrunch. Pulse is compared to like having 24/7 security in your business versus checking for potential issues only every time you log in into the system. Pulse is by far the most recent application of AI in BI, which are originally perceived by many as opposing poles. AI is taken as the future of analytics, while BI is somewhat old school. However, as the road Sisense is traversing shows, the two complement each other. BI is still the core function of Sisense. You fire up the system and juice insights out of big data. The software will only prepare complex data for analysis and visualize it at your prodding. You’re still the brains behind the intelligence. But Sisense is pushing the envelope and Pulse is just the beginning. “We’ve started with the ability to assign alerts on interesting stuff,” Orad explained. For now, Pulse reinforces the traditional way of using a BI tool. You can create a Pulse alert on a metric you’re processing. Its application is plenty. Pulse can notify you of sudden abnormal inventory levels. You’re given a heads-up for this behavior: maybe a big order came in or wrong data is keyed in. In any case, the alert prevents an overstock or stockout. Similarly, you can use Pulse to tell you that your lead volume rate has decreased twofold, warning you off that next month’s sales will take a hit. Machine learning is also useful beyond alerts. In fact, Pulse, Orad said, can trigger an action across a process. It can follow If-This, Then-That (IFTTT) scenarios, where you set an if condition and Pulse triggers the then action or series of actions. Pulse can be useful for onboarding, greatly expanding new customer experience beyond your drip emails. It’s also useful in your value chain. Diminishing stock of items in your supply chain can trigger Pulse to alert your purchasing office to look for more sources. Pulse is not the first innovative tool released by Sisense to reinforce its single-stack architecture-based BI system. The vendor launched last year Amazon Echo Skill, which lets users ask Alexa for Sisense-based data. The tool bypasses the need to log into the Sisense system and access data through Alexa instead. “We see our mission as simple: simplify complex data so that business users can get value everywhere all the time. The only way to do that is by putting actionable intelligence in their hands,” Orad said of Sisense’s continuous development of sophisticated BI tools. Make no mistake, these newer tools don’t make current BIs outdated. They strengthen their role as an adjunct brain to your business. Much of the processing requires your intuition. BI solutions like Sisense is a work in progress, developing its features as you use them. The great thing is the new features don’t feel disruptive, but enhances what you’re already doing. You will still be sitting down in front of your computer to look for insights, but, occasionally, you will probably ask Alexa or get buzzed by Pulse for an important notice. This convergence of options stick up to the original goal of BI, which is to act on insights. Only this time, by making BI processing easier, faster and more intuitively, users have constant actionable intelligence in their hands.